Lovely lake front home on Fawn Lake. Boasting lake views from the main level and the lower level this home is just what you've been looking for. Do you like to entertain family and friends? An abundance of parking allows you to invite them all. Then an open concept main floor with two sets of sliding doors allows them to spill out onto the 15x24 composite deck with sunsetter awning. The lower level family room also offers lake views and dual sliding doors which lead you to the patio. Each floor boasts 2 bedrooms, a full bath, and entertaining space. The newer fujitsu mini split heating and cooling system on each floor is a comforting alternative to the baseboard heat. Flooring, roof, and water heater are also newer providing peace of mind for the new owner. Take a gentle stroll down to the lake and you'll find a boat ramp with pully for ease of lowering your boat into the water. Want even more? 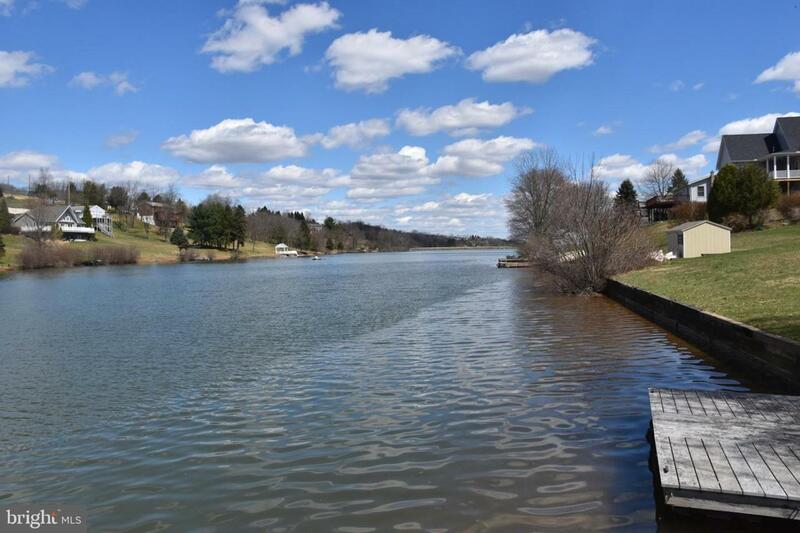 This home is situated close to A dock, the basketball court, and recreational area. Take all of this and combine it with the community pool, lodge and restaurant, active civic organization, tennis courts, fitness center, and so much more. Finally, consider the two fresh water lakes and prime fishing and you now have the very definition of a WIN WIN! A list of items which may remain or be purchased such as furnishings, canoe,paddle boat, and more is available to review. Call for your private tour today.